We have recently started using soap again. This is no big deal to anyone who has always bought it. I find it hard to believe many people do still buy it though. I can't remember the last house I visited that didn't have liquid soap in either a plastic or ceramic dispenser. Clearly we have all been attracted to the ease of squirting liquid soap. It is definitely easier to store in a presentable way. 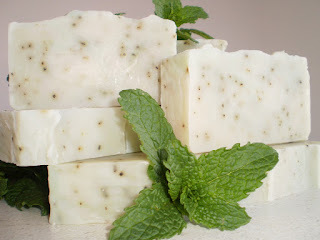 Soap can get dirty, with hairs and dirt sticking to it. Soap gets slippery and can easily be dropped, which can be annoying in the shower particularly. This is, of course, something that also frequently happens to plastic bottles, which often breaks the lid. Our sink has a very shallow groove to put soap on. When the soap is dry it works well. As soon as the soap is wet and slippery it slides off into the sink. Sometimes I have to put it back 3 or 4 times. So why am I sharing this apparently archaic decision to buy soap if it is so inferior to liquid soap? 1. It has barely any packaging (none if you buy local artisan soap). 2. Turtle loves washing her hands with it, which has saved a whole lot of drama everyday. 3. It contains less chemicals because it is a simpler product. 4. It is cool to go retro and use older products that work- there is nothing wrong with soap. We've just been convinced by clever marketing that the other more expensive products work better. This leads me to one of the big benefits..
5. It is really cheap! You can get two bars for under half the price of a bottle of liquid hand soap. Since I'm very happy with my first soap purchase in many, many years I'm determined to find a nice soap holder to put on my bathroom sink. I'll let you know when I find one. When was the last time you used soap? Can you imagine welcoming it back into your home?